VERDI: I adore art...when I am alone with my notes, my heart pounds and the tears stream from my eyes, and my emotion and my joys are too much to bear. On the 30th January 1805 Carlo Verdi, an innkeeper and small landowner married Luigia Uttini in the chapel of Santa Maria, Busseto near Parma in Northern Italy. Nine years later Guiseppe, their first child was born. After his baptism wandering musicians accompanied him back to the family tavern in the village of Roncole. Perhaps they were gipsies, who were later to inspire his Noi siamo zingarelle - We are gipsies from his opera La Traviata. My mother, carrying me in her arms, saved herself in 1814 from the Russians, whose outrages brought grief and terror to Roncole for twenty four hours. She hid in the middle of the tower, terrfied that my cries might betray our presence. Luckily I slept soundly most of the time and awoke with a contented smile. 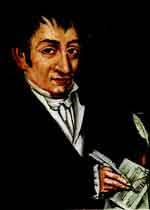 A close friend of the Verdis was the farmer, schoolmaster and organist, Pietro Baistrocchi. He adored 'Pepppino', as Verdi was nicknamed, and dandled him on his knees. With his somewhat unruly, chestnut-brown hair and his intense blue-green eyes, Peppino was a handsome boy, though thin and painfully shy. At the age of six he was so captivated by music that his parents gave him a little spinet, which he was to keep for eighty years. 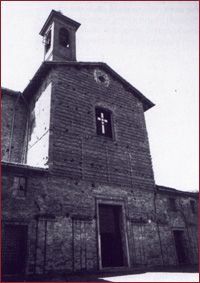 At the church of San Michele in nearby Busseto, he served as an altar boy and sang in the choir. It was there that the foundations of his anti-clericalism were laid. He was later to warn his grandson. VERDI: Stay away from priests! It was at San Michele that distracted by the music from the organ loft, he didn't hear the priest ask for the water and wine. The angry priest kicked down him the altar steps. And for a moment Verdi lay insensible at the bottom. VERDI AS A BOY: May God strike you with lightning! NARRATOR: Eight years later in the Church of La Madonna dei Prati, the priest was struck by lightning and killed. 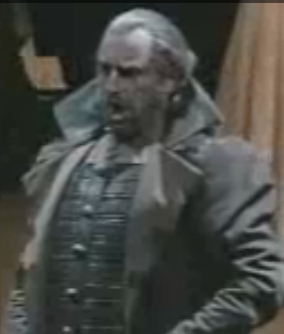 VERDI: That miserable priest was taking snuff, when the lightning struck. His thumb was still pressed against his nostril, as if it were glued there. His blackened face was territying. NARRATOR: In 1823 Baistrocchi died and two years later Verdi was offered his post of full time oraganist. 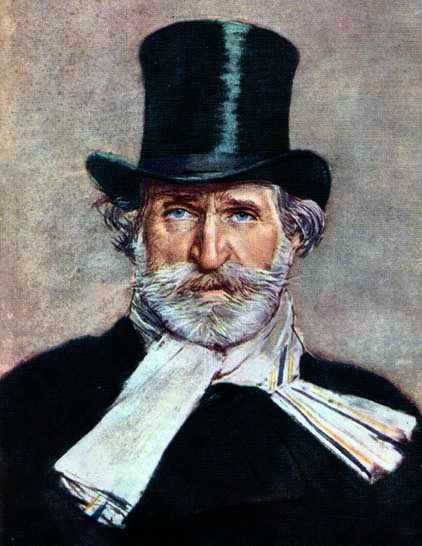 VERDI: My greatest ambition was to become the successor of my teacher. In three years I had reached the point where I could take his place. This filled my parents wuth great pride. He took his spinet to Busseto with him; and would sometimes practice all night. As well as attending the Ginnasio, the school, where he had normal lessons, he learnt music under Ferdinando Provesi, Busetto Church's Master of Music, an anti-clerical free thinkier and ex-criminal. He was also director of the local music school, in which Verdi enrolled, and organiser of the local Philharmonic society, in which Verdi played. Verdi began to compose. His compositions such as his first truly outstanding success Rigoletto with its inspiring Bella Figlia for four voices, were to become popular worldwide. From my thirteenth to my eighteenth year, I wrote marches by the hundred, little works to be played in the theatre, many serenades, cantatas (arias, duets and trios) and several religious compositions, of which I remember only a Stabat Mater. He was fortunate in that he was able to rehearse and perform his work with a full orchestra. 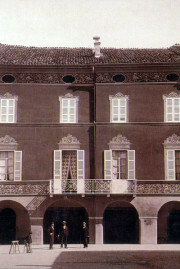 From about 1830 the Phiharmonic used the grandiose Villa Barezzi. Verdi was soon to become a protegé of Antonio Barezzi, a prosperous flute playing grocer and distiller. and later he was to marry his daughter Margaretha. When he was nearly nineteen, Verdi applied to enter the Milan Conservatoire, but he was turned down on several grounds: he was too old, there was no room. he had learnt an inappropriate piano method, and his counterpoint needed discipline. Also, he was a foreigner: his home state of Parma, although a puppet of Austria, was a separate country from Austrian Lombardy. Verdi was always thereafter agin the Austrian occupiers and was, as in the case of Rigoletto, frequently fighting the Austrian Government censors. Having been rejected, he was advised to go to Milan and study privately. Apart from the Napoleonic interlude, the walled city of Milan had long been one of the most important and lucrative possessions of the Hapsburgs. It had a correspondingly impressive musical tradition, employing, for a time, Bach's son Johann Christian. 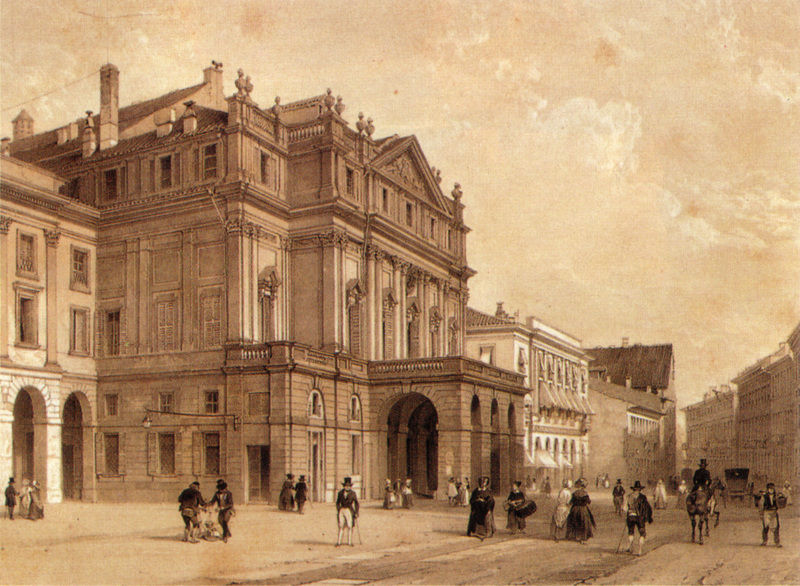 The Ducal Theatre, which had been burnt down in 1776 had been replaced by La Scala. 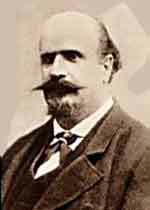 With financial support from Barezzi, Verdi studied privately with Vincenzo Lavigna, a minor composer who had had some success at La Scala. He gave him an excellent grounding in counterpoint and fugue. Verdi who seems to have led the high life, lodged with his former headmaster`s nephew, Professor Guiseppe Seletti, who was later to complain to Barezzi about the young man's behaviour. SELETTI: You must understand that being a good musician does not make him an honest man. I found him rude, proud, and acting like a scoundrel in my house. I cannot tell you how much damage he has done to my fasmily, because it is too indecent to write about. 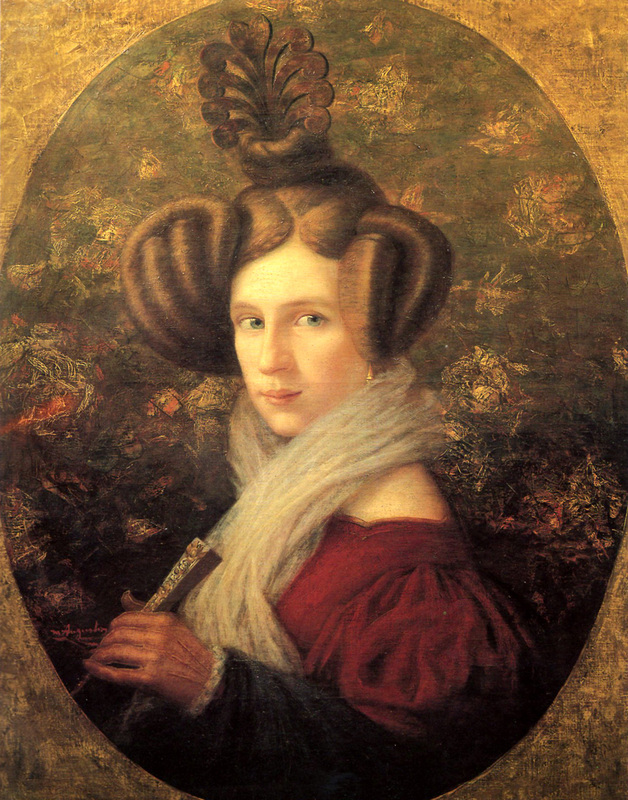 He was probably referring to Verdi's courting of his daughter, Dorina Seletti, who Verdi took to Busetto in 1833. Meanwhile he was learning works by by Rossini, Donizetti and Bellini, and hearing performances by prima donnas such as Maria Malibran and Giuditta Pasta. He had an opportunity to conduct the Milan Philharmonic society of amateur musicians. Years later he described the experience. VERDI: We began to rehearse, and little by little I caught fire and not only accompanied them on the piano, but began to conduct with my right hand, while playing with the left. I got compliments from all sides. They ended up entrusting the whole concert to me. STENDAL: The deepesl dungeons were reserved for the blackest liberals. Many of the residents of Busseto, particulary the clergy, did not want Verdi as organist of their principal church. They put forward their own candidate, one Giovanni Ferrari. There was violence between 'the reds', Ferrari's and 'the blacks', Verdi's supporters. It reached such a pitch that the dragoons were called in, and Archduchess Marie Louise of Austria felt obliged, for a time, to forbid music in the Busseto. MARGERETHA: Never, absolutely never, would Verdi settle in Busetto. Having dedicated himself to theatre music, he would succeed in that and not in music for the church. A daughter was born nine months after the wedding, and then a son. They were called Virginia and Icilio, both names with liberal overtones. 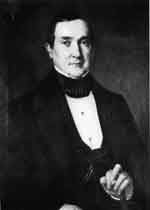 Verdi did not renew his three-year contract in 1839, but took a gamble and moved back to a precasrious future in Milan. 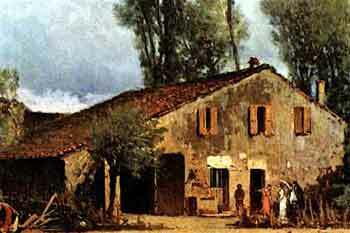 For four years he had been working on an opera, Oberto, Conte di San Bonifacio, which he hoped to get staged there. Verdi's dramatic libretto tells the story of the young count of Salinguerra, who seduces Oberto's beautiful daughter with a promise of marriage. Then he falls passionately in love with another lady and offers her his hand instead. Oberto sets out to exact his revenge, but is killed by his daughter's lover in a duel. La Scala, which Verdi considered to be the foremost theatre in the world , was run by the impresario Bartolomeo Merelli, who also ran the Karntnertor theatre in Vienna. 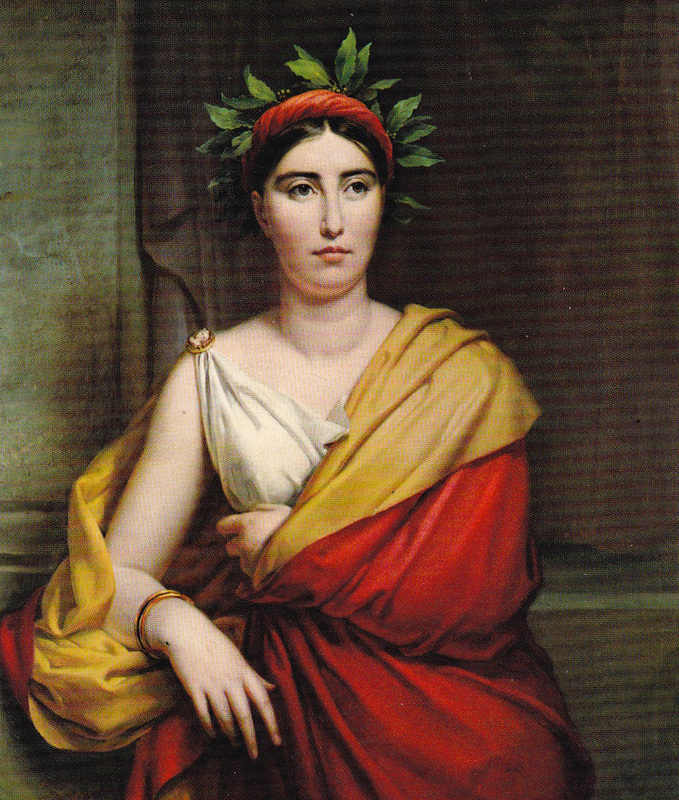 Oberto was premiered at La Scala in November 1839. Oberto was sufficiently successful for Merelli to commission three further operas. This lavish provision stipulated that they would be performed either at La Scala or in Vienna. I accepted the contract at once. But then a series of disasters struck. Both the young couple's children died, the next opera, Un Giorno di Regno was a flop; and then the cruellest blow of all. 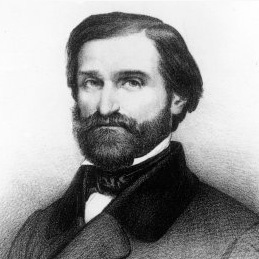 Verdi's father-in-law described the death of his daughter, and of Verdi's wife. 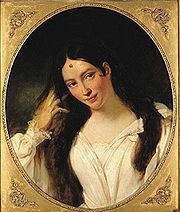 From a dreadful disease, in the arms of her father, my beloved daughter, Margheretha, in the very flower of her youth. She was the faithful companion of the excellent young man, Guiseppe Verdi. I weep over this tragic loss. VERDI: A third coffin goes out of my house. I was alone! Alone! NARRATOR: He was too profoundly in despair to be able to compose; but Merelli was understanding. I cannot force you to compose, but my faith in you remains unshaken. Who knows whether some day you may decide to write again. Just let me know two months before a season, and I promise you that your opera will be given. Merelli found him a libretto by Temistocle Solera, based on the Biblical story of Nabucco, known in English as Nebuchadnezzar. The story follows the plight of the Jews as they are assaulted, conquered, and then exiled from their homeland by the Babylonian King Nabucco. I was particularly attracted by its Hebrew chorus of slaves Va, pensiero', with its yeaming for freedom. LESSONA: Nabucco aroused tremendous enthusiasm such as had never been see before. The night after the premiere no one in Milan slept. Everyone was talking about Verdi. Even fashion and cuisine followed his name; making hats alla Verdi and sauces alla Verdi. From every city in Italy impressarios hurried to ask Verdi to write something for them. NARRATOR: The Chorus of Hebrew slaves who sang passionatley of their love of their nation was easily identified with Italy's desire to be free of Austria. VERDI: With this opera you can truly say my artistic career began. Nabucco was born under a lucky star.